Could you share a bit about your background and the work you do? I’ve always enjoyed being a competitive athlete. 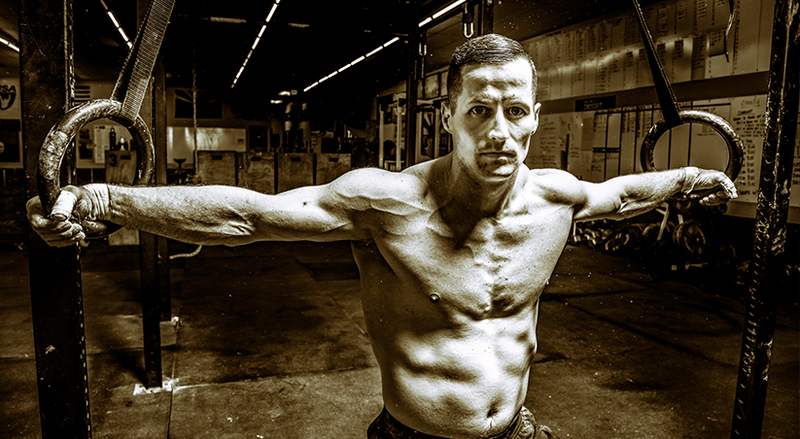 Like most, I’ve accumulated an impressive list of injuries over time, many of which I had to learn how to rehab myself—or at least, I had to find the finishing touches to reclaim 100% of my range-of-motion, strength or stability. Learning to repair your own body, at least on some level, is a must for any competitive athlete. 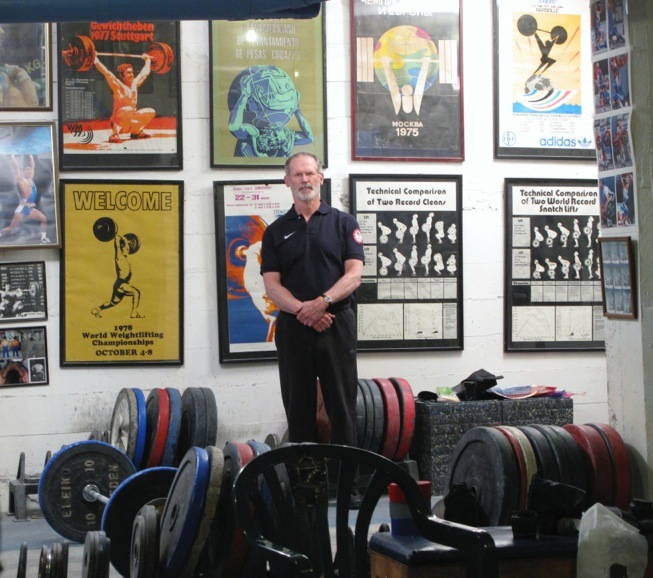 I’ve been working with elite and professional athletes formally for over a decade, but I’ve been a geek for sports performance training for much longer. A typical day for me at the clinic consists of treating acute sports injuries and working on chronic biomechanical issues of almost every type. I like to help people move better and feel better so they can achieve their goals in sport or life. Mobility is not only a huge part of proper injury rehab but also a key ingredient in increasing performance for the competitive athlete. For CrossFit athletes, it is usually the missing ingredient that we find only after we’ve tried everything else to better our technique and strength level. Mobility is often that little thing that makes a big difference. Among CrossFit athletes, I hear a lot of complaints about shoulder pain—why do you think it’s so common, and what can athletes do to address it? Very often, shoulder pain during or after training means that there is a biomechanical problem with the shoulder, usually from an old injury. Old shoulder injuries are honestly one of my favorite things to work on with athletes because it goes so well, so easily. For old shoulder injuries, mobility work pays off big. Simply put, when an athlete sustains a minor shoulder injury that heals up just fine, he or she is often left with a shoulder that is a little too tight in general and now lacks an ideal level of mobility. The shoulder is prone to adhesive capsulitis and other scar tissue issues that leave a shoulder too tight long after recovering from the initial injury. This leads to a gang of other problems that can occur when you return to training. The good news is that while many athletes assume they have a shoulder issue that is untreatable, they usually just need some solid mobility work to resolve the problem. The athlete usually attributes the problem to permanent damage to the shoulder, which generally isn’t the case. Do you treat any individuals with strength and mobility imbalances? How could they go about remedying this? Yes, muscle dominance and imbalance issues are common. Checking the hip flexor group and anterior kinetic chain is crucial for any CrossFit athlete. This is probably the most common problem we see in our CrossFit athletes, gymnasts, and football players. If you consider how much we use our hip flexor group and the muscles of the anterior chain (AC), it’s easy to see how you could develop a contracted hip flexor, rectus femoris, psoas or illiacus muscle. Since a tight muscle is a weak muscle, this can negatively impact your PR’s and lead to repetitive stress injuries. Many CrossFit athletes suffer from knee pain or anterior hip pain as a result of this problem. What sort of basic mobility work would you prescribe a competitive weightlifter? Would that differ for a CrossFit athlete? In CrossFit, we tend to care much more about the ability to grind out repetitions than compared to weightlifting and strong-man competitors. A CrossFit athlete has a more to gain from good mobility work. Better mobility can give us more efficient repetitions, leading to better performance on training days and in competition. Across the board, most people seem to struggle with the proper mobility to stay upright in the overhead squat. What are some of the best movements and methods to improve this position? The overhead squat is a great screening tool. We use it every day at the clinic. If you have any substantial mobility issues, the overhead squat will expose them. Those who are mobile enough for the O. Squat can perform them with minimal effort, but an equally strong athlete who does not have ideal mobility gets demolished by the O. Squat after just a few reps.
Poor thoracic and/or shoulder mobility are probably the most common causes of a clumsy O. squat. Once you’ve gotten bored of rolling out your upper back with the foam roller, it’s time to get more aggressive. Getting the upper arm and shoulders on the ground is a priority. Pry yourself over the foam roller by doing pelvic tilts. This will increase your thoracic extension at whichever segment you have the foam roller. Move the roller upward on your back a little after a few reps. It will get more difficult as you go up. Begin with your palms together. The first step is to reach forward with your top hand. Next you will want to make a full circle to the end position. If you can’t keep your hand on the ground throughout the movement, you’ll need to work on this one for a while. Retest your O.Squat after doing these mobility moves for roughly 5 minutes each. What recommendations would you give a beginner, recreational CrossFitter to minimize the risk of injury? Your flexibility, strength and endurance levels are always changing. Be respectful of the biomechanical limits that your body has right now. Pushing those limits a little every day is much better than pushing them too far on any given day. What about for serious CrossFit competitors? What should they do for bodily maintenance in terms of mobility work, chiropractic care, soft tissue work, etc? If you are hitting it fairly hard, like 5 or more WODs per week, expect that you’ll need some level of maintenance. The question is….. how much? Competitive athletes, that are injury free, usually do best with just an hour or two of mobility work, myofascial treatment and/or chiropractic every 3 or 4 weeks. Of course, everyone is different. Tell me about the new Iron Athlete mobility clinics: what can attendees expect to learn in this day? Will they have a chance to address individualized problems? The new Iron Athlete mobility clinics are killer. The great thing about mobility work is that it’s more of a concept than anything. I want people to leave with a better understanding of mobility work and how it can be applied to your daily routine and boost your PR’s. 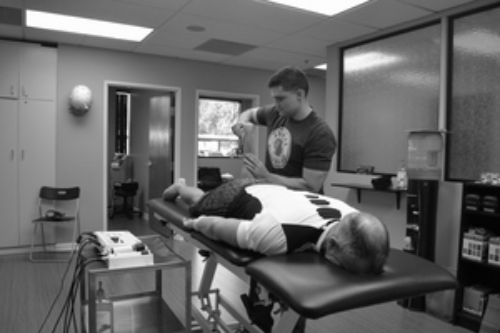 Most of the clinic is a group format, but we do a great deal of individual assessment and work. We will find your functional restrictions and figure out ways to correct them. Knowing how to monitor your own progress is a key point we focus on. Do you have any websites or social media where people can go to find you? I’m here to help, so connect with me at www.mattcolby.net or on social media.